Seriously this is a great time to be alive. No, I’m not just mouthing off a platitude. I seriously am glad to be alive in this moment, in this time in this NOW. In this moment of subtle universal changes. Often we are asked to step forward in the energy and to experience things that we don’t understand. That is what it felt for me back in Jan of 2016. We had just received notice on the house we were renting as the owners wanted to move back in. I had just broken my nose in an accident and been put on a month’s sick leave. We were getting married in Feb 2016 and it was for me a moment of human despair. I bottomed out emotionally and was trying to deal with concussion as well due to the accident. So how does this line up with being glad to be living in this moment of now? Well if I had not been at home recovering and healing, I would not have been able to connect as completely to the intuitiveness of what was going on. I realised that there was a subtle shift happening. If I was still involved in my part-time ‘day job’ I would have felt disinclined to move out of the comfort and safety of that, whereas being at home I could look at the shift and ask WHY! I could observe the universal changes that were unfolding around me. Separate yet somehow intricately weaved into my life. Did I get a big epiphany and understand everything immediately? You can bet your bottom dollar I did NOT. What I did get was, ‘it’s time to step onto the branch. No not the big thick one that you know can support you, but that thin spindly one above you. Trust the universe to catch you IF it breaks. Allow the changes. Give permission to change’. 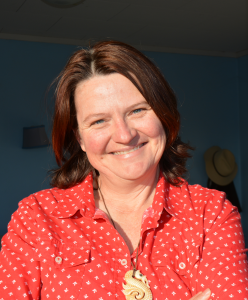 Together with Heather, we decided to move from Auckland, we started the process of purchasing our own home in Taupo. We began our journey in a new life partnership and new creative manner again. All the time I was observing the subtle shift of energy get stronger in our lives and work. Suddenly here we are in Taupo, earthquakes rumbling around us, and then ‘boom’ the energy that I’ve been observing spikes. The messages that I am channelling take on a deeper level of challenge and the energy factor rises in our own lives. Those that attend out Tuesday night begin to tell how things are shifting dramatically for them as well. As I observe the day to day around me, I see myself, the human part crumbling at times. Almost giving up, but not quite. 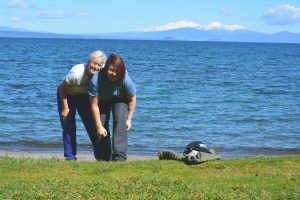 I realise that the energy of Taupo has been quietly calling us in for months and now that we are here, it is wrapping around us. It’s as if images of the past are being formatted into my conscious memory. 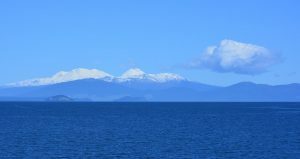 I begin to see the Mountain of Taupo in its original form before the ORIGINAL earthquake (pre 180BC) I have heard the mountain talk to me and the feel of the original structure of energy of that time is so powerful it almost is overpowering. Add this to the mix of what is happening with the Solar, Luna and Earth magnetics at the moment and I feel alive. Full of buzzing tingles of energy BUT alive. For this reason, I am excited to be alive now. Yet in this time of shift I am discovering parts of me, that I thought were long past and dealt with popping back up. Almost gleefully grabbing my attention. Honestly, I have only been able to keep the balance by using the tools we have created and taught for the last few years. I know I keep banging on about Aspect Integration, but seriously if you’re keen to create the peace in your life. If you want to find the balance and sweet point, you have to look at Aspect Integration. The combined use of meditation, guided release and inner contemplation allows for a powerful release and recognition of what is yours. You get to experience the power of connecting again, to your truth. So if you’re feeling into the shifts of change that are moving around us, that are creating vortexual energy portals in our time and place. If you are looking at the changes that are creating images and reflections in your life that need dealing with, then reserve your space now.